Adolf von Harnack's famous 5-volume collection, including his landmark critical studies on the Gospels, Luke the Physician and The Sayings of Jesus. 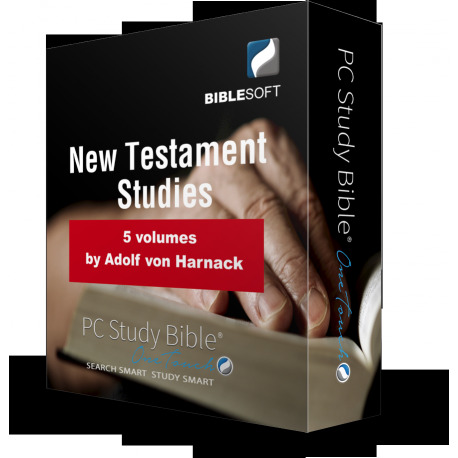 Biblesoft is pleased to present these five pioneering studies by famed New Testament scholar, historian and theologian Adolf von Harnack. 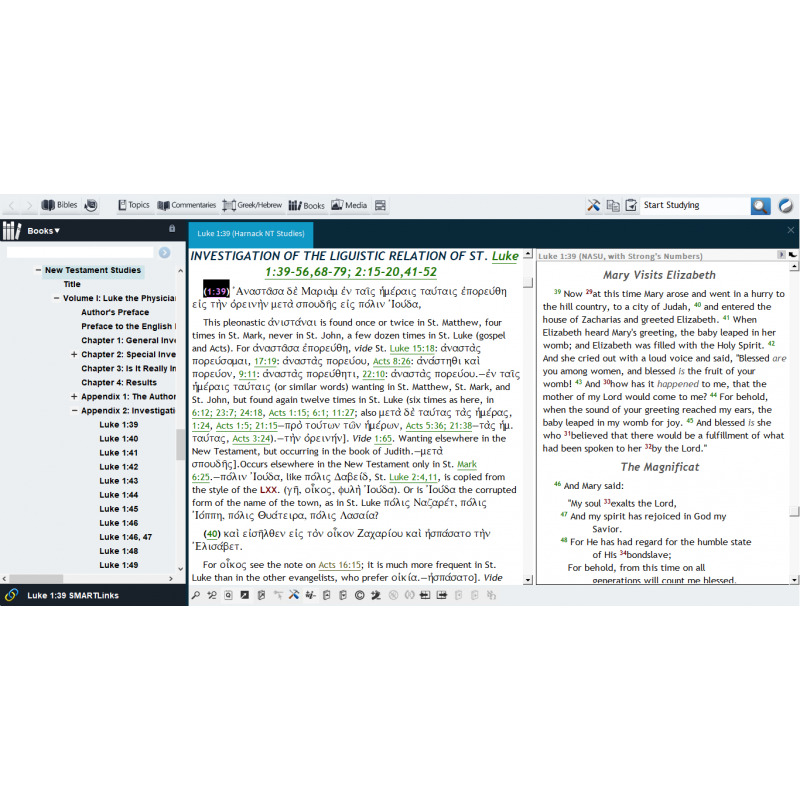 Published between 1907 and 1912, these are landmark works in New Testament studies, which continue to be read and consulted by commentators and scholars today. Harnack is best known for his expertise in the fields of Patristics (Early Christianity & the Church Fathers), Church History, and the history of Doctrine; however, he was also a leading New Testament scholar who proved highly influential on subsequent Biblical Criticism and Gospel study throughout the 20th century. While commentators have not always agreed with his arguments or theories, they continue to remain worthy of consideration and respect. 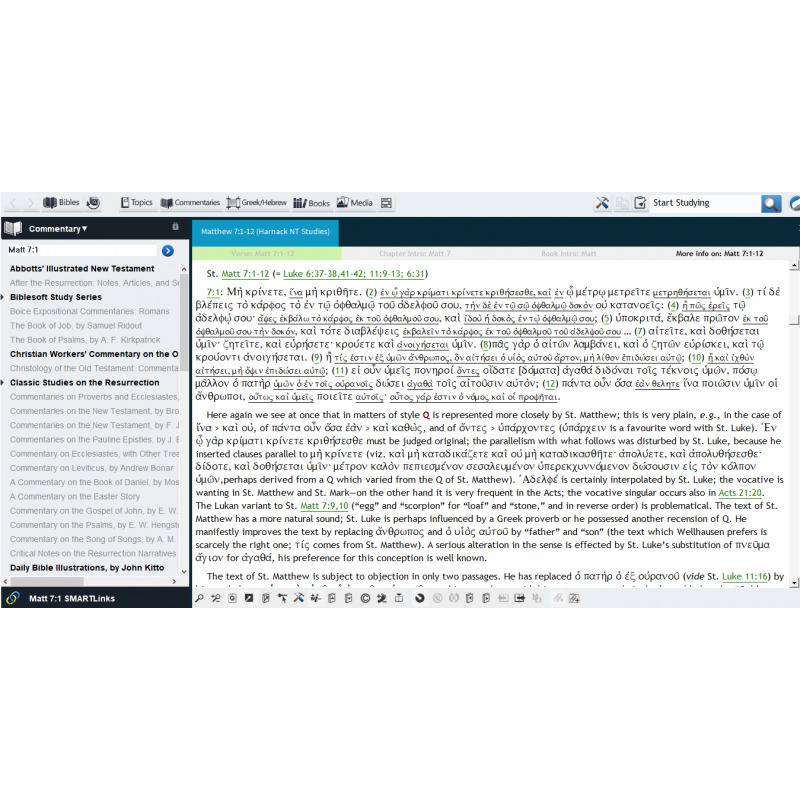 Volume 1: Luke the Physician: The Author of the Third Gospel and the Acts of the Apostles (1907)—this has been, and remains, a pre-eminent study on the Gospel of Luke, especially with regard to its authorship and composition. 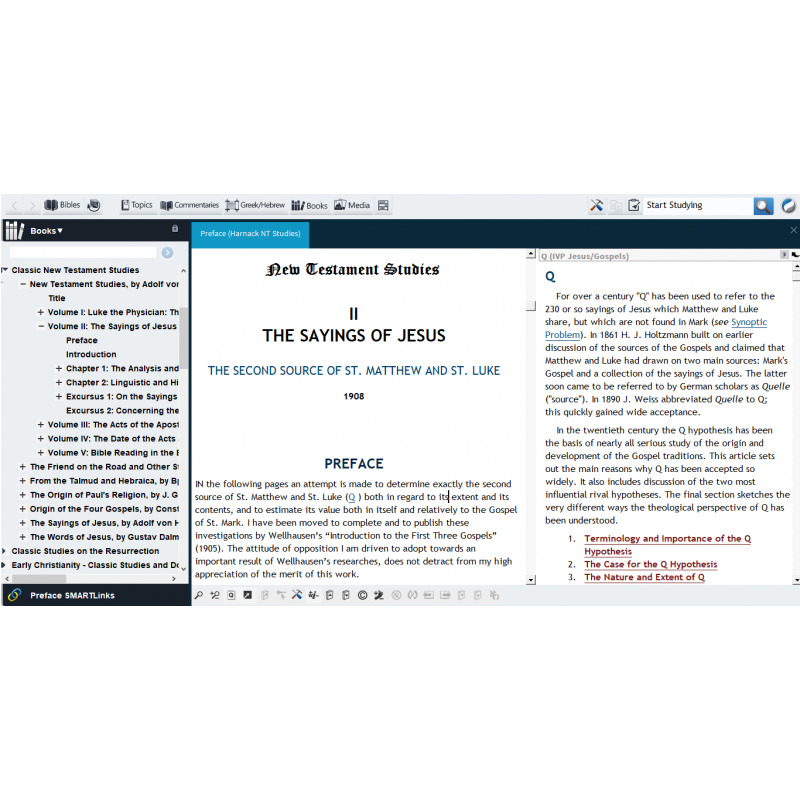 Volume 2: The Sayings of Jesus: The Second Source of St. Matthew and St. Luke (1908)—an early and highly influential study on the so-called "Q" source and the "Two-Source" (or "Two-Document") hypothesis; it also involves an examination of how the sayings of Jesus (in their original form) may have come to be transmitted. This volume is also available for purchase separately (with Dalman's The Words of Jesus). 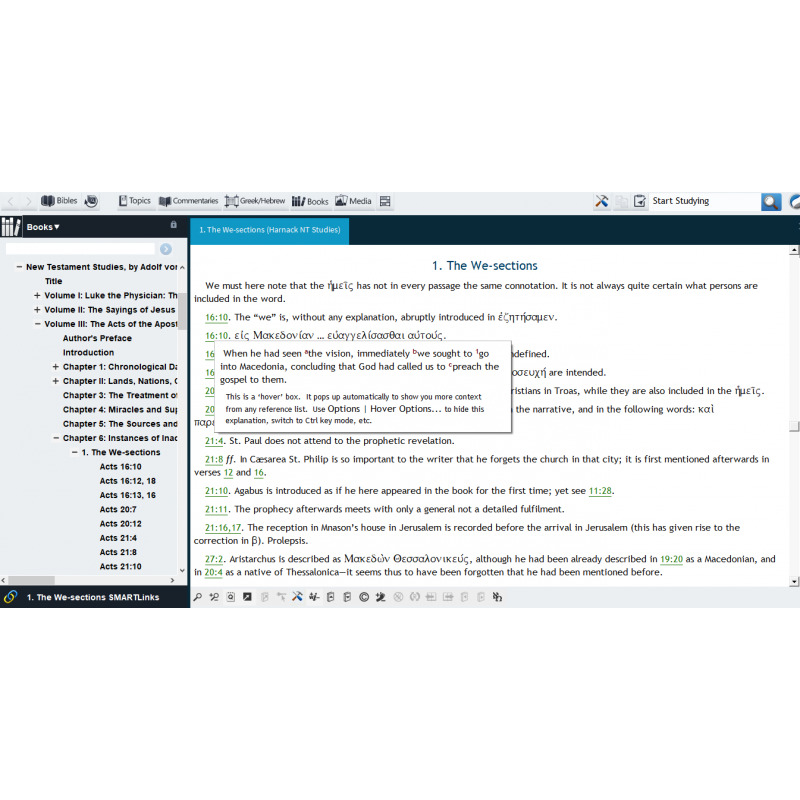 Volume 3: The Acts of the Apostles (1909)—perhaps the first modern critical treatment of the Book of Acts, examining various aspects of the date of composition, authorship, vocabulary, historical data, use of sources, and apparent discrepancies. Volume 4: The Date of the Acts and of the Synoptic Gospels (1911)—a most useful supplement to volumes 1 and 3, in particular. 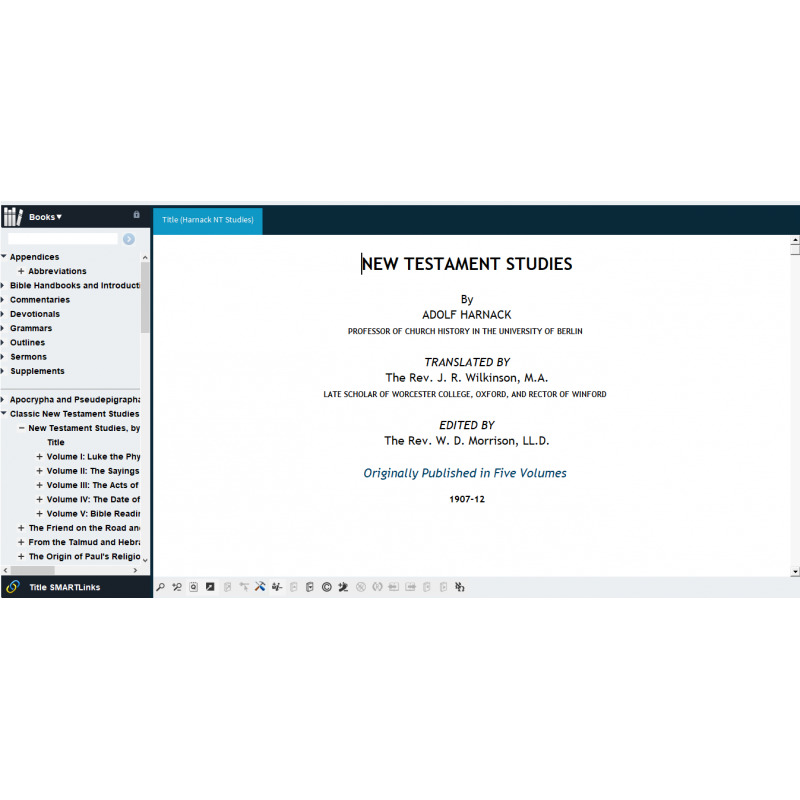 You will find these titles grouped under the collector "Classic New Testament Studies" in the Commentary and Books menus, as well as under "Works of Adolf von Harnack".